placement agency for truck drivers | Platinum Drivers Inc. Many motorists have no idea about trucks. They tend to think of them operating just like small cars do. Truckers know, however, that a big rig is nothing like a small car on the road. There are many things truckers wish motorists knew about big rigs. For instance, a big rig uses gears to shift speeds, and that means it takes longer to speed up or slow down compared to typical cars on the road. Motorists should not cut in front of truckers or brake suddenly in front of them. 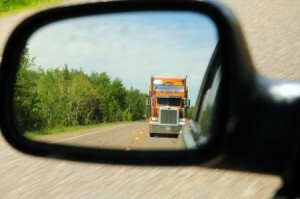 They should also avoid the trucker’s “blind spots,” which can’t easily be seen from the cab. In other words, give truckers plenty of room and whenever possible don’t get too close to them on the road. Also, because big rigs are literally quite big, they create air turbulence around them when barreling down the highway. Therefore, motorists should expect to catch their wind and possibly have their car sway toward the side when caught in a truck’s powerful draft. When it’s raining outside motorists should have their windshield wipers on when passing trucks. Big rigs have big wheels which cause big splashes. Finally, motorists should be smart enough not to park behind a truck parked on an incline. They also should be smart enough to not walk behind a truck that’s backing up. Sadly, many people die each year because they weren’t paying attention and a truck hit them.